Crosswinds Poetry Journal has arrived! I’m thrilled to announce that friend and fellow poet David Dragone launched Crosswinds Poetry Journal last month. 10% of the journal’s submission fees will be donated to CROSSROADS RI, which provides a variety of housing, education, and shelter services for homeless and at-risk individuals and families. 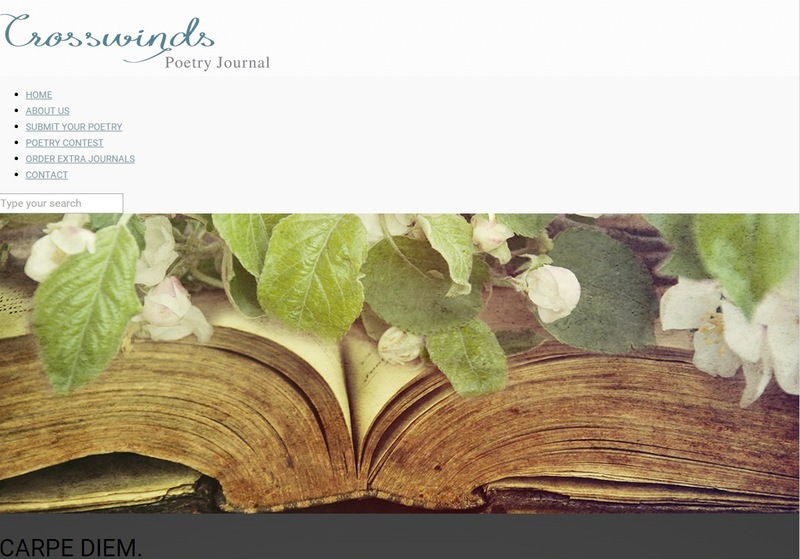 Crosswinds Poetry Journal will also run a contest with winners announced in March of 2016, and submissions are open now. There will be $1,250 in prize money and 15 honorable mentions awarded. The contest winner and runner up will be chosen this year by Tom Chandler, Poet Laureate of Rhode Island emeritus. Details on submission guidelines, projected publishing dates and more can be found at the journal’s website at http://www.crosswindspoetry.com/.